A simple add on that shows the location of every Mundus Stone (the ones that give you the boon buff) in all of Tamriel. Can filter out by stone type and locations are shown on the Tamriel map so stones are easier to find (Tamriel map icon can be turned off in options). There has been some coding changes to that both German and French are now supported. Please, if you run in any of those languages, let me know if I spelled something wrong... or made a bad phrase... or I am calling something by the wrong name. Google translate isn't the best. Oh... it'd also be good to know if things seem to be working in those languages. HELPFUL HINT: Because of how the map pins are layered, and because I haven't coded to deal with it yet, you may need to disable "objectives" on the map to see the stones underneath the default ZO stones. More functionality to come in future releases. Current plans are for: compass support, further localization, icon customization, per character settings, easier to see pin options, removal of the CustomMapPins library (as it doesn't seem to be officially supported), and maybe more filter options. This add on would not have been possible if not for the work of Mitsarugi, Garkin, Seerah, and Shinni. Mitsarugi / TreasureMap - The foundation addon for MundusMap. Shinni / HarvestMap - Coding for pin placement. 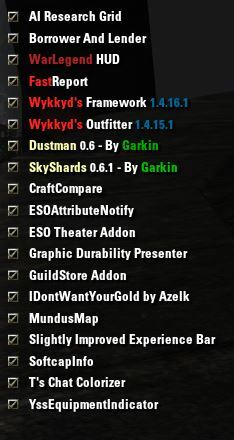 If you don't have the above three addons installed, then you're playing ESO in the dark. For those that deleted the file zipped wrong (there were 6 of you) you may need to manually delete the files if they got installed to the base directory of the addon. Also... can you tell me if you get anything in the chat window if you enter the command "/didit"
What language and server do you run on? Sorry, but i have to report that it wont work for me.